Federal SITES – Something for Everyone? Who or what has the most potential to be the drivers in implementing the SITES™ rating system and sustainable sites methodologies? The SITES Pilot Projects Phase is still underway and presently three projects have been certified. But where will this new approach get the most traction at the largest scale? While the federal government system is usually not touted in the media for innovation and cost savings, it may be the place where the most number of projects originate or are being developed using the SITES model. What does this mean to the rest of us? 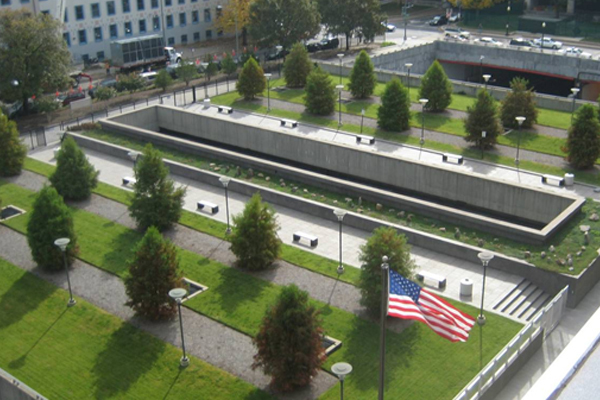 Can federal initiatives carry over to landscape architects who may not be working on federal projects but are looking for ways to introduce SITES to clients and other professionals? A little background: President Obama’s Executive Order (EO) 15314 in October, 2009 got it started by setting sustainability goals for Federal agencies. Our office is working on federal projects and, given my passion for site sustainability topics, when EO 15314 was issued, I figured it would be a short time before everyone would be talking environmental sustainability goals for site development – municipalities, institutions, businesses and even my neighbor! The reality is that, while policy may be set with the stroke of a pen, creating the tools for implementing policy takes time, if it happens at all. 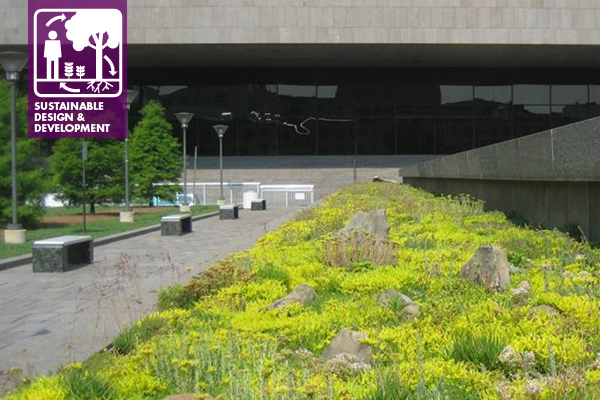 A few months ago, there it was, on the Sustainable Sites Initiative website the Guidance for Federal Agencies on Sustainable Practices for Designed Landscapes (Federal Guidelines) in an easy to read format and downloadable. And it was based in part on the SITES credit system! 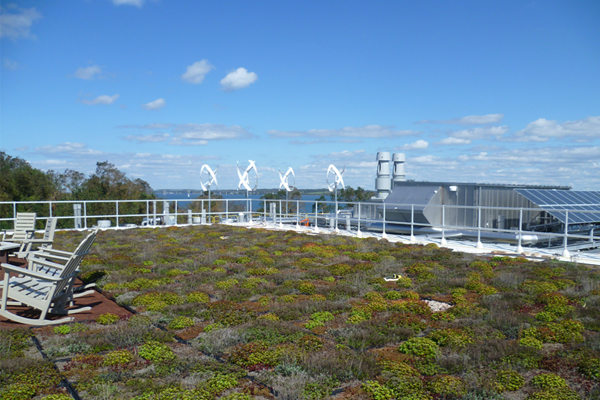 Narragansett Wind Solar Green Roof. Courtesy of EPA. Next question – how might the Federal Guidelines help with education and implementation of sustainable design practices in the non-Federal realm? So my very small experiment included one company who did not have any federal work and one company that did a lot of federal work. I printed out a couple of copies of the Federal Guidelines (on recycled paper), brought them to the meeting and talked about the Federal Guidelines and the SITES rating system together. I also introduced the idea that the Federal Guidelines were a good “distillation” of SITES and could be used for reference and good sustainable sites practices as well. The result? In both cases these professionals seriously reviewed the Federal Guidelines during our meeting, engaged in a more serious discussion about SITES and asked to take a copy of the Federal Guidelines from our meeting. The other reason for this post is that I had encountered well informed landscape architects (some pretty recently) that were not familiar with the Federal Guidelines. I figured it was time to sound the horn again and provide some updates about how the Federal Guidelines are working. I contacted Ray Mims, Conservation and Sustainability Manager, US Botanic Garden (USBG) because he helped lead the Federal working group that developed the Federal Guidelines and was very engaged in working with federal agencies on implementation. Ray explained that Holly Shimizu, Executive Director, USBG participated in the working group which included a Core Committee and Technical Advisors from federal agencies and institutions from around the country. Ray was very forthcoming with his own list of federal projects to highlight. With his help I was able to contact several agency people on the Core Committee who shared ideas on implementation and the evolution of sustainable site development methodologies in their work. According to Ray, the Office of the Architect of the Capitol (AOC) is including the Federal Guidelines and SITES into its 5-year strategic plan “to address sustainability outside of the building skin”. Several people associated with development of federal historic properties acknowledged the challenge of implementing the Federal Guidelines and SITES in that context. 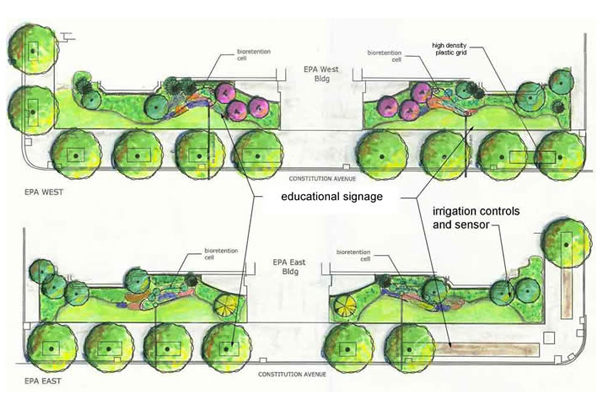 Nonetheless, the Development plan for the Department of Homeland Security’s St. Elizabeth’s Campus, a National Historic Landmark, included a “Landscape Integration Plan” that used SITES criteria. EPA Constitution Rain Gardens. Courtesy of EPA. Susan Spain, Project Executive for the National Mall Plan project noted that the National Park Service “has developed the Green Parks Plan, all projects have integrated multi-disciplinary teams and strong public engagement.” One of the evaluation criteria for the National Mall Design Competition was “Environmental, Functional and Operational Sustainability”. 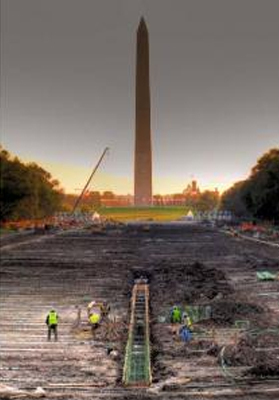 Also, Susan provided information on the Lincoln Memorial Reflecting Pool Renovation. The new design reduces the amount of water presently needed to fill the Pool by over 2 million gallons or a one-third reduction. The old Pool also required potable city water and periodic refilling, and the new Pool will use re-circulated, filtered water from the Tidal Basin, which will be cleaner and better for public health and safety and wildlife habitat. US Tax Court Building Plaza. Courtesy of GSA. After my own experience with the Federal Guidelines and contact with some very dedicated people who are doing good work, I am more confident and hopeful that the SITES model may actually be embraced by “municipalities, institutions, businesses and my neighbor”. I believe there is value in regular updates on the implementation of the Federal Guidelines in this PPN venue. Do others in this group feel the same? What aspects are you most interested in? What concerns you? Let’s hear from you! Thanks for the in-depth look at how SITES is being implemented at the highest levels of the federal government. I look forward to more updates on these and other projects that embrace SITES!